We can never stress this enough: it pays to start saving early. 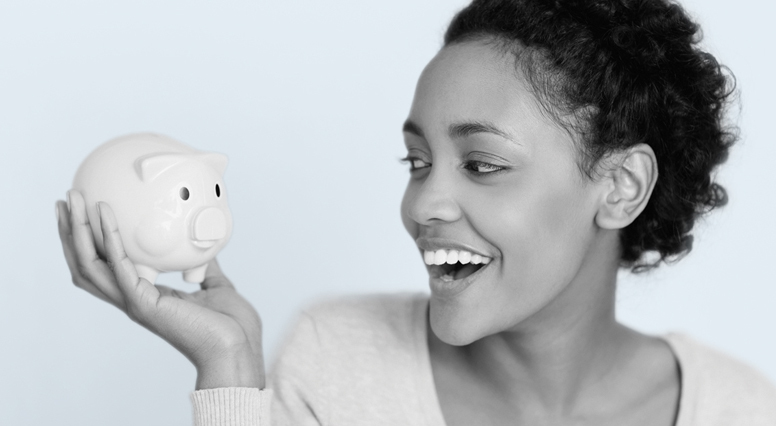 Even on a tight budget, it’s possible to save little by little and see your money grow. Before you figure out how much you can channel into savings, you need to know how much money you’re working with. Start by making a note of all of your expenses for a month. Fixed expenses: Rent or mortgage payment, electricity, heating, insurance, property and school taxes, etc. Variable expenses: Food, leisure activities, clothing, eating out, entertainment, etc. You might be surprised to see exactly where your money goes. Expenses that are seemingly insignificant can add up to a big chunk at the end of the month. If you manage to cut an expense, don’t replace it with another one. Instead, set aside the money you would have spent. Even if it’s just five dollars a week, that’s a good start. Over time, you can probably save more, but at least that money will be starting to grow. Scan the grocery store flyers and plan your meals around what’s on sale. Ask for a rain check coupon if a product on sale has sold out. Make your coffee at home and take a travel mug to work. Take out the money you need for the week from the ATM and leave your credit cards at home. Every day, put your small change in a jar or piggy bank. Every few months, deposit the money that builds up in a savings account. Do your own chores, such as mowing the lawn or shovelling the snow from your driveway. Try to repair any items that are broken instead of buying new ones. Don’t forget to have a category for savings!